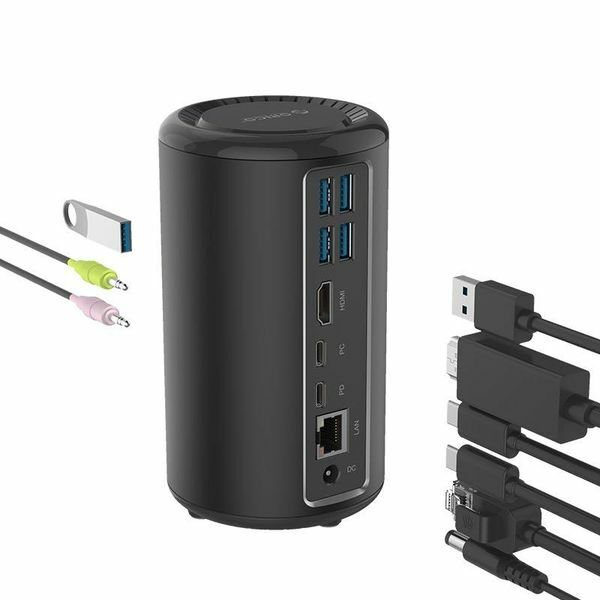 A very stylish Type-C aluminum cylinder hub / docking station for connecting additional peripherals, an HDMI-4K connection, Type-C Power Delivery, an Ethernet connection, a DC 12V connection and even more extras. Multifunctional aluminum cylinder hub with, among other things, USB 3.0 ports, Type-C PD, HDMI 4K and RJ45 connection. If you are looking for a multifunctional and stylish hub, then you do not have to look any further. 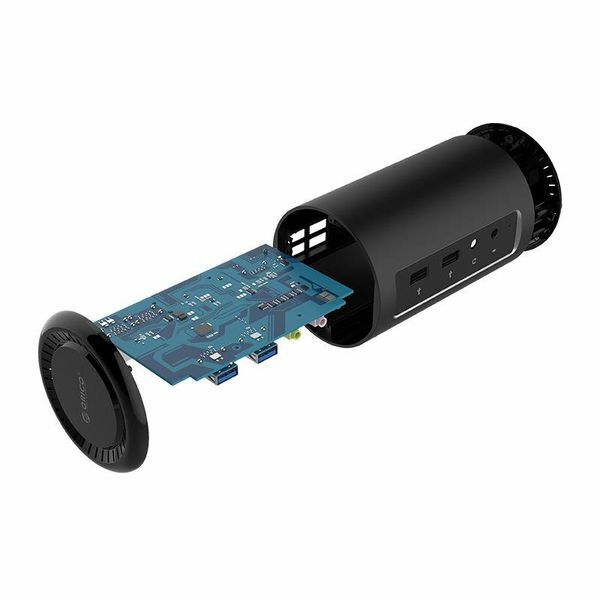 This modern aluminum hub from Orico has a lot of outputs, so you can connect many peripherals and other extras. 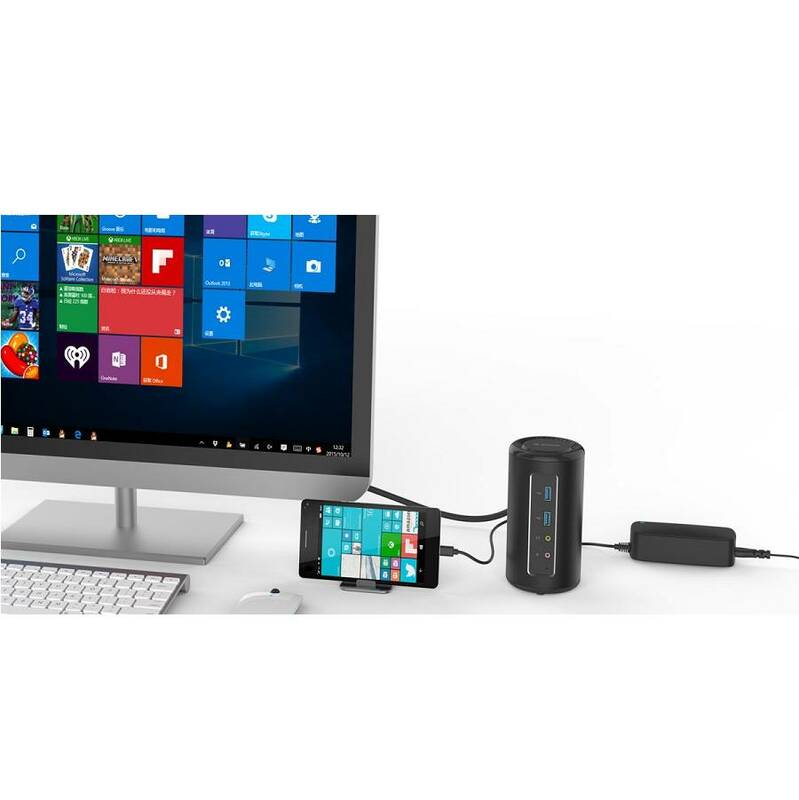 For example, you can use Power Delivery, you can use your smartphone as a computer host, there are six additional USB 3.0 Type-A ports on which you can connect peripherals and there is an HDMI 4K Ultra HD, Ethernet, microphone and headphone connection. Can not you load via the Type-C PD? Then you can use the other charging way, namely via the DC 12V output. The multifunctional hub from Orico has the latest Type-C input. You can connect the hub to your computer or laptop using type-C or Type-C to Type-A cable supplied with the Type-C. The black aluminum cylinder hub / docking station has no less than 6 USB 3.0 Type-A ports. This allows you to connect all your peripherals and you will never run out of a Type-A port again! Easily connect your keyboard, mouse, printer, photo camera, USB stick or smartphone via the hub. Thanks to the latest USB Type-C connection with PD function you can not only benefit from fast data transfer and charging from your laptop, you can also charge your laptop via the USB Type-C connection. 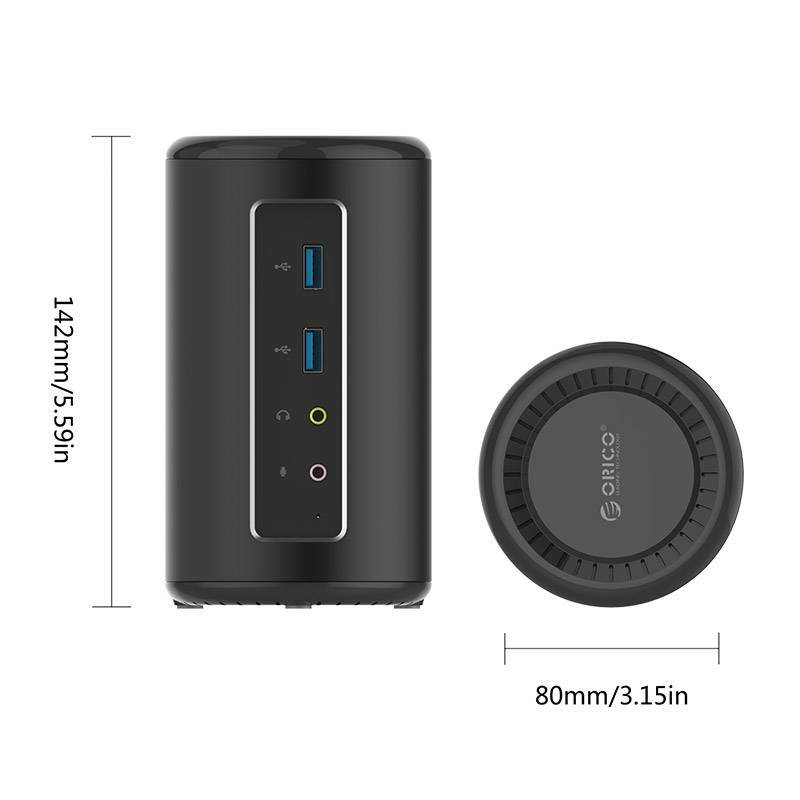 You simply plug in your USB Type-C charger (this is not included) in the Type-C hub and the power supply is passed on to the connected devices and your laptop. You can also charge via the DC 12V output. You can connect your smartphone to a mouse, monitor and keyboard via the aluminum cylinder hub. You can operate your phone and view it via the monitor. Your phone is now working as a computer host. The aluminum Type-C hub is equipped with HDMI converter. The converter supports 4K Ultra HD picture quality. So you connect your HDMI display simply and easily to your Type-C output. Ideal if your latest laptop / MacBook no longer has this option. Watch TV and / or play games on a big screen. 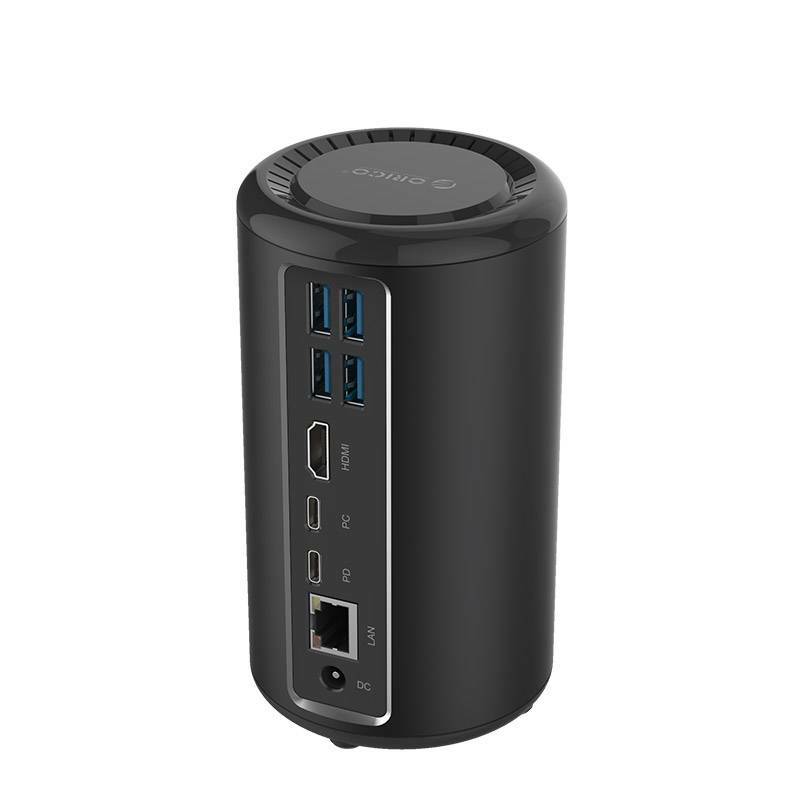 Or work super efficiently with two screens, it's all possible with 4K image quality thanks to this hub. Do you want to enjoy stable internet, but does your laptop or computer not have an ethernet connection for a stable connection? Then create an RJ45 ethernet connection by means of this stylish aluminum adapter from Orico. The wired network connection with Gigabit Ethernet achieves speeds of 10/100 / 1000Mbps, which ensures a faster and more stable connection than via WiFi. Very handy, is that you have an audio and microphone output in addition to all the aforementioned connections. 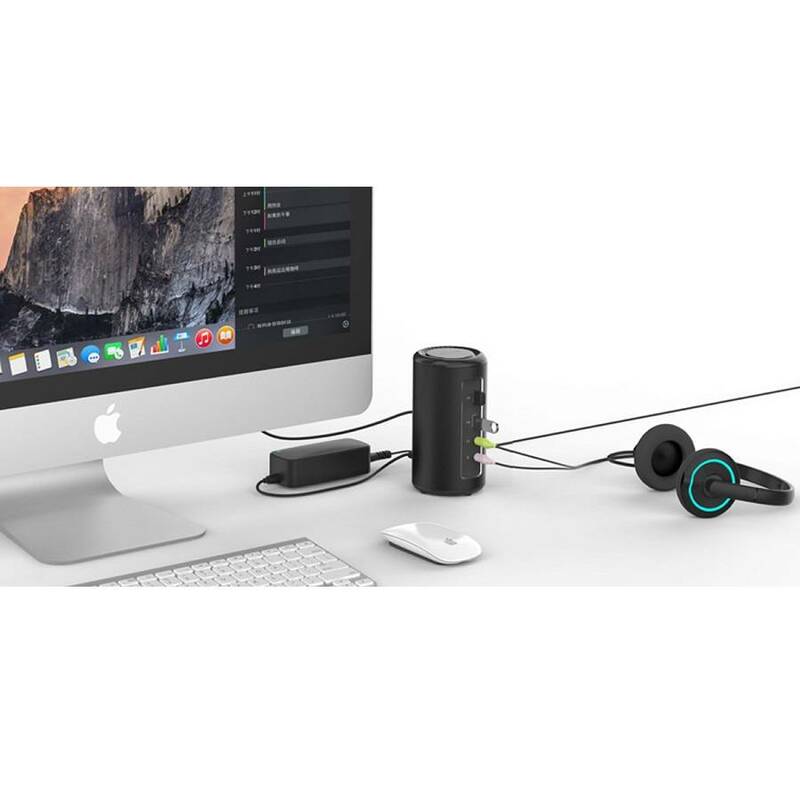 This allows you to listen to music from the computer via the hub if your sound card does not work, or you can connect a microphone if this connection to your new laptop is not present. The stylish and modern hub is made of high quality aluminum and heat resistant ABS materials. A multi-safety security system protects the hub against overheating, leakage current, overvoltage and short-circuit. 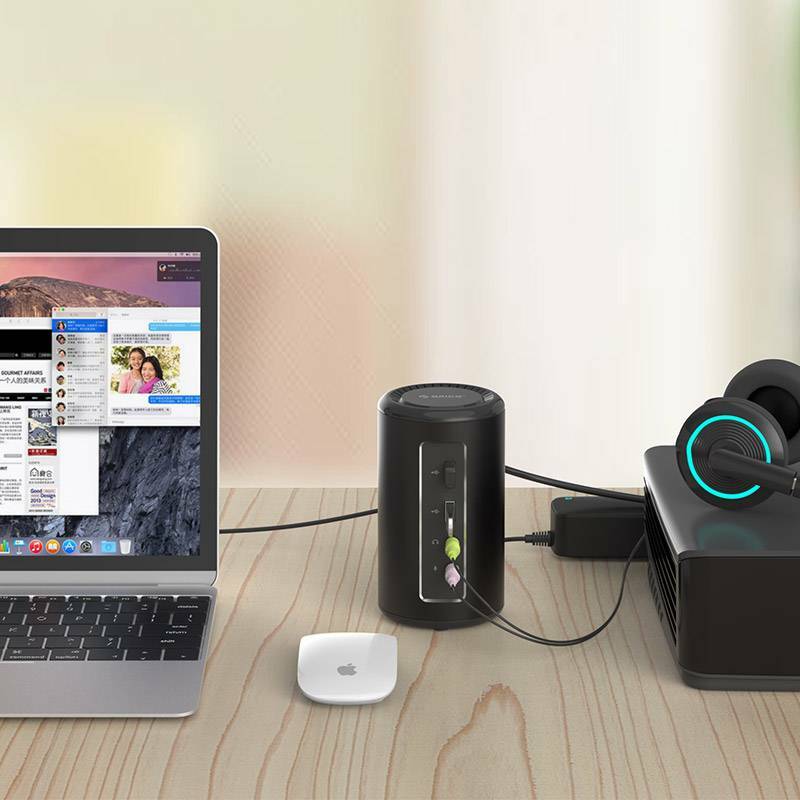 You can connect multiple devices to Orico's cylinder docking station at the same time with peace of mind. ✔ Input: USB 3.0 Type-C.
1x microphone / audio input, 1x DC 12V. ✔ Materials: aluminum and ABS. ✔ Product dimensions: 80mm x80mm x 141mm.